All the mechanisms that cause most people to accumulate body fat can be traced to one and only one cause: excessive blood glucose and the ensuing insulin production. As we saw in the last post, a valuable lesson can be learnt from the Biggest Losers: weight loss is not a matter of willpower, and certainly not a simple matter of eating less than you burn. In order to lose weight, you need to modify your metabolism. This is not easy, but it’s not impossible either. Body fat is regulated – How fat is stored in our cells is a complex, regulated system. The body is working hard to stabilize the amount of fat around a set value. This set value is a function of our genetics, as well as our long term nutritional behavior, environment and medical history. It’s true that our body fat is regulated by several factors over which we have little control, such as genetics or past behavior, but there are steps that can be taken towards a healthier metabolism. Note that being thin is not necessarily healthy, and that body fat is not necessarily a problem. It is the underlying causes of body fat that pose a health threat, as well as bringing the undesired fat. Actually, all these causes are related to one and only one item: excessive blood sugar. We will explore a few of the mechanisms below, but there are many more. 1. Elevated insulin, a consequence of high blood sugar, puts the body in fat storage mode. 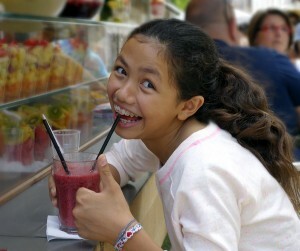 During digestion, carbohydrates are broken into simple sugars and passed into our bloodstream. 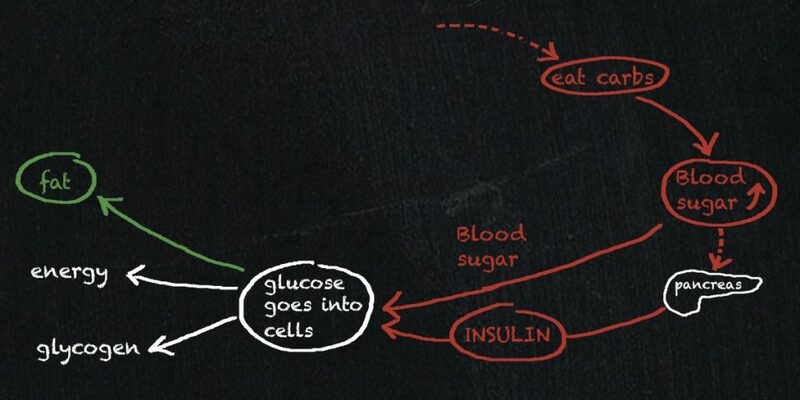 The elevation in blood sugar causes the pancreas to produce insulin, a hormone that allows the cells to let sugar in. The glucose (sugar) taken away from the blood and into the cells can be used to provide immediate energy. If energy is not needed, sugar is stored as glycogen. When the glycogen storage is full, the remaining glucose is stored as fat in fat cells. Insulin activates the enzymes that enable fat storage and impairs the action of hormones that release fat from fat cells: high insulin signals that glucose (i.e. immediate energy) is available; fat is therefore not needed and should be stored for later use. 2. Elevated blood glucose induces the enzymes that favor using sugar for energy (and impairs the enzymes that are necessary for burning fat). The bulk of our energy is generated through cellular respiration, a complex series of chemical reactions that take place in the mitochondria in our cells. 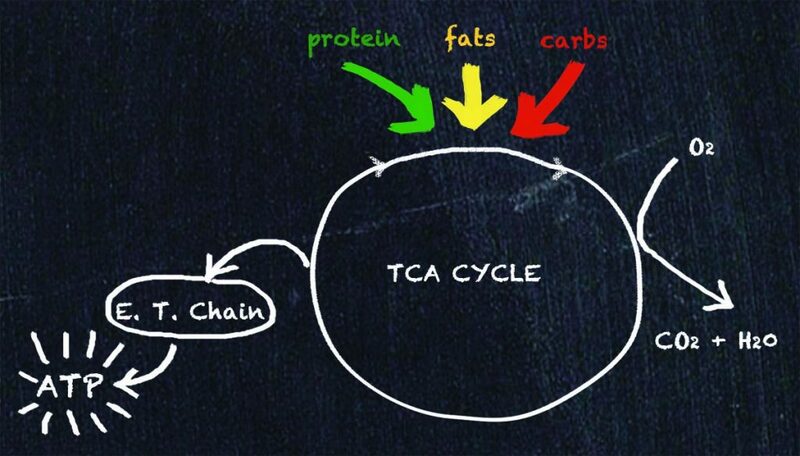 TCA / Krebs Cycle – All three types of macronutrients (carbohydrates, fats, proteins) behave in a similar fashion. The body is a marvelously adaptable machine that can work with whatever it has. If there is a lot of glucose in the blood, the body will produce the enzymes to burn glucose for energy. If the body sees less glucose, it will generate the enzymes that burn the fat instead. 3. Elevated blood glucose next to fat cells locks the fat inside the cells. Fat is travelling in the blood or stored in cells under the form of triglycerides. The molecules in the fat tissue are in constant motion, crossing the cell walls into the blood stream and back. Since triglycerides cannot cross the cell walls, to go in and out of the cell, they are disassembled into free fatty acids and glycerol and reassembled into triglycerides on the other side of the wall. This process is also regulated by the levels of insulin and blood sugar: insulin causes fat cells to take in glucose and burn it for fuel; this produces a glycerol-phosphate molecule, which in turn provides the glycerol molecule that binds with free fatty acids to create triglycerides. Thus, burning glucose in the fat cells reduces the number of free fatty acids that can escape the cell and increases the proportion of fat locked as triglycerides inside the cell. There are several more mechanisms that cause fat to be stored, all involving sugar. Very surprisingly, these facts have eluded most weight loss researchers for a century. Instead, the notion that eating fat makes you fat still prevails. A study finds that people who lost a bunch of weight after participating in the TV reality show “The Biggest Loser” gained most of it back. That’s of course no surprise. What’s more interesting are the findings about how their metabolism changed after the weight loss. A KQED broadcast last week (May 2, 2016 – All Things Considered) reported on a study that examined what happened to the participants in the TV reality show The Biggest Loser after the show was over. A (not too surprising) fact was that many of them regained much of the weight they had lost during the show. 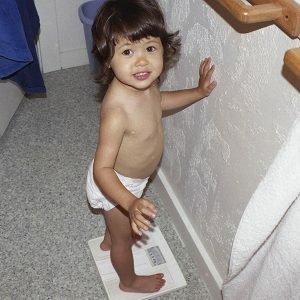 One of the report’s conclusions was that body weight is biologically determined and that “it’s not just a matter of willpower to produce weight loss and to keep weight off.” It seems that the body wants to regulate its fat content to a set point, like a spring: you can compress it, but as you let go, it returns to its original position. This finding, of course, doesn’t come as a surprise. Anybody that has been on a weight loss diet could have told you that. With the risk of sounding conceited, this result was highly predictable, not to say inevitable. So why do most people still believe that after going on a weight-loss diet, they can return to their old ways and still keep the weight off? This has always seemed odd to me, until I examined the prevailing weight-loss beliefs more in depth. It turns out that most people, including doctors and health professionals, view the body as a calorie bag: if you eat more calories that you expend, you gain weight; if you spend more than you eat, you lose weight. Before people embark on their lean quest, their weight is more or less constant (maybe several pounds higher than they wished, but stably so). The logical deduction is that what they are eating balances exactly what they expend. Therefore, if they could only lose the extra pounds, they’d be fine and could resume their old lifestyle happily ever after. QED. Logical? Well the fact that this scheme doesn’t work should be proof enough that the “calorie in – calorie out” view of weight control is incorrect. Actually, how fat is stored in our cells is a complex, regulated system, the body trying hard to stabilize the amount of fat around a set value. This set value is a function of our genetics, as well as our long term nutritional behavior, environment and medical history; with age our body is less resilient, and coping with excesses becomes more difficult. One contestant interviewed explained that she had worked extremely hard at shedding the original weight: it took a grueling regimen of diet and exercise. Listening to her, one could sense that she is a very strong-willed person; nobody could suspect her of being lazy or self-indulging. Yet after she gained the weight back, she found it nearly impossible to lose it again. The interesting “discovery” of the study was that after they lost weight, the people’s basal metabolic rate (BMR, amount of energy expended while at rest) was disproportionately low compared to the rest of the population: these people needed to burn less calories to sustain their weight than people with the same weight that have never been on a weight reduction program. Conversely, these weight-reduced people needed to eat less than the other people in order to sustain their weight. Another interesting observation was that, after they regained their weight, the people’s BMR was still low. That contributed to make losing weight the second time around even harder. There is a prevalent view that muscles burn more calories than fat, and that if you lose fat and build-up muscle, your metabolic rate will increase. The study’s findings go against that theory. The “calorie in – calorie out” view of the body has been proven wrong over and over again. To reach your ideal weight, you need to improve your metabolism. This goes way beyond “eating less and exercising more”. It includes changing your metabolism, lifestyle and especially your nutrition. Calorie restriction makes you metabolically weaker. In which we examine the consequences of inter-hominid romance. We all know that some people are better at metabolizing carbs than others: your friend Giacomo can eat all the pasta he wants without apparent damage to his waistline, while you put on 2 lbs merely looking at the plate. It has been known for a while that there was interbreeding between the homo-sapiens (us) and the now extinct Neanderthals (the big, hairy, heavy ones), and that 1% to 4% of the modern Europeans’ DNA is of Neanderthal origin. 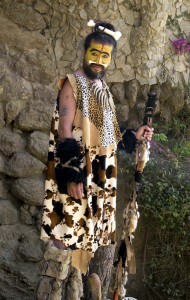 (For more on the topic see http://quantitativemedicine.net/2014/11/26/neanderthal-dna-in-humans/). It has been hypothesized that red hair or blue eyes are of Neanderthal origin. It seems now that Neanderthal genes carry more serious consequences. Of course, such results must be interpreted with caution: it is already difficult to run a serious experiment on humans, let alone on Neanderthals. Such studies that only observe existing data can show correlation (Neanderthal DNA and lack to thiamine appear in the same people), but cannot prove causation (is Neanderthal DNA causing the lack of thiamine? Or maybe both these things are caused by a third factor). A definitive scientific experiment would involve a “double-blind” procedure, where both the tester and tested are kept unaware of the actual nature of the test, in order to reduce bias. This is however an interesting enough result that it deserves some attention. ♦ The nutritional value of carbs is low. Granted, they provide calories, but their micronutrient content is low. ♦Overconsumption of carbohydrates causes elevated blood sugar and elevated insulin levels. ♦ Chronically elevated blood sugar is responsible for glycation. Molecules produced by our body in presence of a lot of sugar will be defective. Glycation leads to small vessel diseases in the kidneys, eyes, fingertips, toes and brain. ♦ Chronically elevated insulin is bad in itself: insulin directly increases arterial stiffness, which leads to high blood pressure and atherosclerosis. Elevated insulin also clearly increases cancer risks. ♦ Elevated insulin impairs the action of glucagon, thus preventing the use of stored fat for energy. The excessive presence of carbohydrates in the blood shifts the body’s energy preference to burning sugar and impairs the burning of stored fat. What was presented as a problem is in fact an advantage for those with Neanderthal DNA: since they can easily metabolize fats, it is easier for them to revert to a natural diet lower in carbs and higher in proteins and fats, thus limiting the dangers posed by the high consumption of carbohydrates that has become the norm today. The food pyramid never reflected the scientific knowledge of the time. It may have started life with good intentions, but bad influence led it astray. The once ubiquitous food pyramid has now been replaced by my MyPlate, but it doesn’t hurt to examine it one more time to understand where we came from in terms of food recommendations. 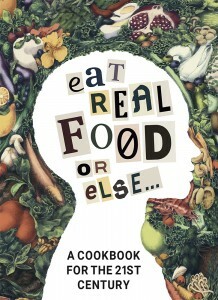 For a better understanding of how the food pyramid came to be, a great read is Denise Minger’s Death by Food Pyramid. In spite of its funny, not-so-subtle title, it is a very serious investigation of the forces that conspired to create the monster. 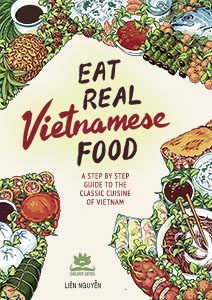 On the topic, see also Marion Nestle’s Food Politics. Marion Nestle was the editor of the 1988 Surgeon General’s Report on Nutrition and Health. 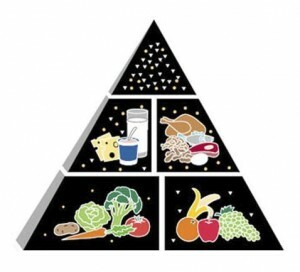 The pyramid implies that starches (grain, cereals, bread) should constitute the basis of our food. This might have been true at the dawn of mankind, when calories were scarce. Agriculture and grains allowed large populations to be fed, and with the division of labor came the arts, politics, war, in short, civilization. But when consumed on top of everything else we eat now, grains become a liability: our body is not equipped to deal with the large amounts of starch and sugar that are effortlessly available nowadays. The popular belief is that starches are needed for energy. This is plainly not true (but this will require a separate blog post to itself). Fats appear at the very top of the pyramid: the proportion is not so bad (after all, fats are very dense nutritionally, and a little bit goes a long way), but it instills an unnecessary fear of fats: fat plays an important role in our body, we need fat for our brain, membranes and more. A non-USDA-sponsored food pyramid (still not ideal, but better). The rest of the pyramid is more or less OK. We could argue that fruits are not really necessary since you get more vitamins and micronutrients from non-starchy colorful vegetables than from fruit, but this is in the noise level compared to the rest. 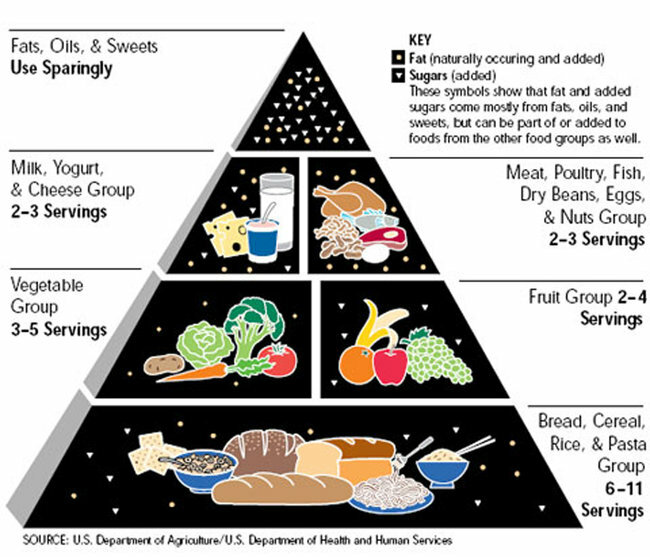 So in fact, the food pyramid would not be so bad if we just cut off its bottom. Even though it has reduced the recommended proportion of grains, it still implies that grains are a basic food group. We don’t agree that grains are a food group, or that fruits are necessary at all. 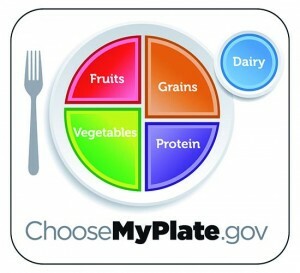 The proportion of proteins in “Myplate” seems reasonable, but the fats are completely missing from the picture. In our mind, dairy is not necessarily a glass of milk (as implied by the drawing), and not an add on: it is part of the protein and fats. Grains are not a basic food group! Cereals, starches and grains are not a separate food group: they are mostly carbohydrates. Eating a balanced diet doesn’t imply that you must include a proportion of starches and grains. Eating colorful, nutrient-dense vegetables will bring a fairly large amount of carbohydrates and fiber. This “ideal plate” is designed to provide enough micronutrients and macronutrients. Proteins can be animal or vegetal. They include meat, fish, poultry, eggs, dairy, nuts and seeds. It is assumed that vegetables are cooked or seasoned with fats. Protein generally comes with built-in fat. 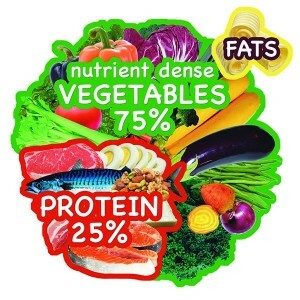 Fat is important and greatly contributes to satiety: in the vegetable portion of your plate, half of the calories might come from fat (this is, however, not much in volume).